"Ant" action: With the summer boxoffice still sizzling thanks to "Minions," Hollywood is in the best of spirits as Disney and Marvel's "Ant-Man" prepares to invade multiplexes this weekend. Universal and Illumination Entertainment's first-place launch last weekend of the PG rated 3D animated family comedy "Minions"arrived toavery jolly $115.2 million. It's the second biggest animated opening ever, according to the boxoffice analysis firm Rentrak. The record is still held by Paramount and DreamWorks Animation's "Shrek the Third," which opened May 18, 2007 to $121.6 million. Rentrak said "Minions'" audience was 56 percent female and 65 percent under 25, with kids giving the film a 77 percent definite recommend score. "Minions" is part of the "Despicable Me"franchise, whose last episode, "Despicable Me 2," opened via Universal July 3, 2013 to $83.5 million. It went on to do $368.1 million domestically. "Minions'"mighty showing comes on the heels of some phenomenal boxoffice business since the summer movie season kicked off May 1 with Disney and Marvel's "Avengers: Age of Ultron," which has done $455.2 million after 11 weeks. Universal, Legendary Pictures and Amblin Entertainment's "Jurassic World"($590.7 million after five weeks). Disney and Pixar's "Inside Out"($283.6 million after four weeks). Universal and Gold Circle Films' "Pitch Perfect 2"($183.1 million after nine weeks). Warner Bros. and Village Roadshow's "Mad Max: Fury Road"($150. 3million after nine weeks). Warner Bros., New Line Cinema and Village Roadshow Pictures' "San Andreas"($150 million after seven weeks). With moviegoers turning out in force to see a wide range of summer releases, expectations are understandably high for this weekend's debut of Marvel Studios and Disney's PG-13 rated 3D sci-fi action adventure "Ant-Man"at about 3,700 theatres. Also arriving with a big boxoffice buzz this weekend is Universal Pictures' R rated comedy "Trainwreck"at about 3,100 theatres. Directed by Judd Apatow, who produced "Bridesmaids" and directed "Knocked Up," it starsAmy Schumer, Bill Hader and Brie Larson. The female appeal "Trainwreck" is perfect counter-programming to "Ant-Man," whose core audience is male. "Ant-Man" is directed by Peyton Reed ("The Break-Up") and stars Paul Rudd, Evangeline Lilly and Hayley Atwell.Master thief Scott Lang (Rudd), embraces his inner hero in "Ant-Man" to help his mentor, Dr. Hank Pym (Michael Douglas), protect the secret behind his spectacular Ant-Man suit from a new generation of towering threats. When Lang wears the suit, he shrinks to the size of an ant. While "Ant-Man" didn't originate as a top tier Marvel comic book title like "Iron Man" or "Spider-Man," the studio's blockbuster success late last summerwith "Guardians of the Galaxy"showed that Marvel and Disney's marketing magic can make superstars of lower profile superheroes. "Guardians" opened Aug. 1, 2014 to $94.3 million and went on to do $333.2 million domestically. "Ant-Man's" mid-summer arrival puts it in action sooner than "Galaxy," which brings advantages as well as challenges. There are some very strong holdovers in release now while "Galaxy" faced a less competitive marketplace early last August. Its opening weekend competition included:"Lucy" with $79.5 million after two weeks, "Get On Up" opening to $13.6 million and "Hercules" with $52.7 million after two weeks. "Dawn of the Planet of the Apes," the best of the bunch, was fifth with $189.3 million after four weeks. Although "Ant-Man" has stronger competition, it will have more weeks of summer playing time than "Galaxy" had in which to sell tickets. And it's also likely to benefit from having greater playability to family audiences than superhero films usually have. enabled him to alter his size and gave him super-human strength. 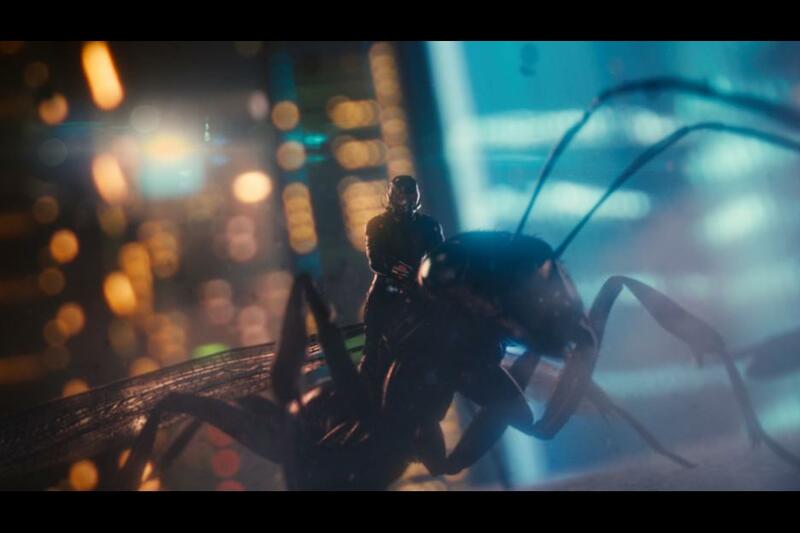 Another of Pym'stechnologiesgave Ant-Man the ability to control armies of ants. "For all of us at Marvel, it's always beenabout the characters and always making sure at the core of the film it is aboutbeing able to relate and connect to these amazing but flawed individuals," explains Marvel Studios president and "Ant-Man" producer Kevin Feige. continued to champion these characters and take the ride with them. Feige points out that Marvel likes it that, "'Thor' is sort of a science fiction fantasy film, and'Guardians of the Galaxy' is an action-adventure science fiction film and thatwe have techno-thriller elements in the 'Iron Man' films. 'Captain America: The Winter Soldier'is a 1970s political thriller and 'Ant-Man' is a heist film.So we don’t believe that the superhero film is a genre unto itself. We lovetaking subgenres and putting them together and then adding the superheroelements into other genres of film." The themes of fatherhood, mentorship and abandonment play key roles in the relationships of "Ant-Man's" lead characters and heighten the film's appeal to family audiences. "We always felt that this story and film was a two-hander, in which an older character bestows the mantle to a younger character," says Feige. "It's right out of the comic books, and the older character, ofcourse, is Hank Pym and the younger character is Scott Lang, and that relationship is really the story of this film." Lang is a good hearted, goodhumoredguy, he notes, "who has been put into a bind because of his pastand he is desperately trying to make things right for his daughter,Cassie, whom he loves very much. He's divorced from her motherbecause of his antics, but he just wants to do one more job to setthings right and be able to support them and to be the father hebelieves he could be. "Unfortunately, he believes the only way hecan do that is through burglary. The house belongs to Hank Pym,who sets him up and gives him the opportunity to use his skills for the benefit of mankind." 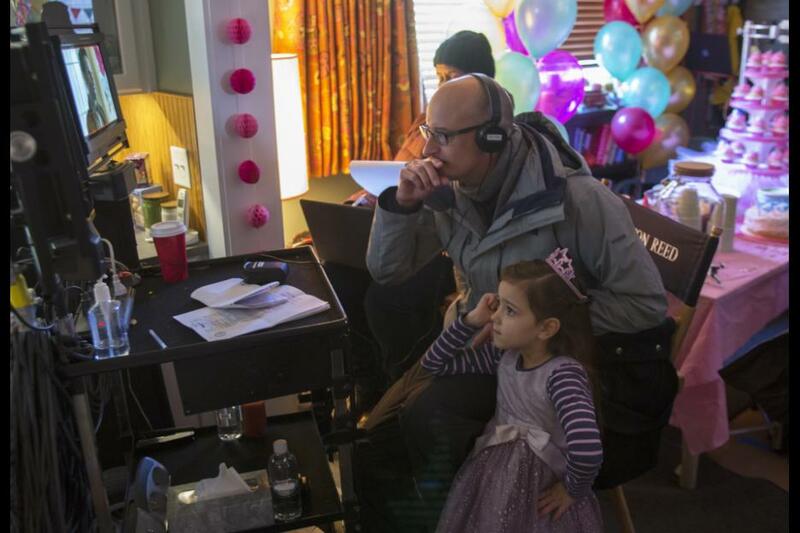 At its core, "Ant-Man" is a shrinking movie, observes director Peyton Reed. "There's a long history of cinematic movies from 'The Incredible Shrinking Man,' 'Honey, I Shrunk the Kids' and just on up,but this had to be 2015's version of a shrinking movie,and by that it means the bar is very, very high in termsof technology. "It's got to look photorealistic. We have to believe that he's shrinking and part of that is what arethe methodologies? How are we going to do this? It used to be that you'd bring in the giant pencil or the giant baseball, but we didn't use any of that in the movie. We used a combination of motion-picturemacro photography; still macro photography; motion capture with the actors; motion capture with the stuntpeople; and then for every set we would build these miniature sets, called macro sets. from all the other 'shrink' movies." 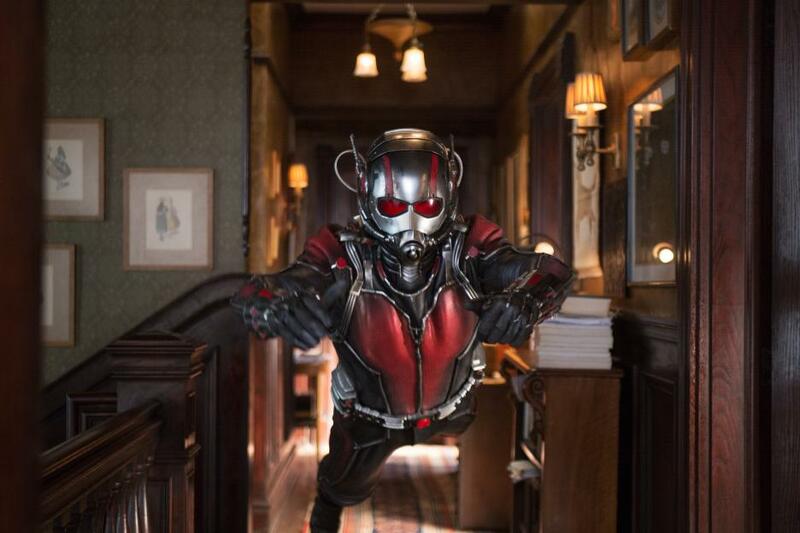 Bottom line:"Ant-Man" may be small, but hecould make a big impact at the boxoffice.